Invisalign treatment could be right for you if you would like to discreetly straighten teeth or close gaps between them. Invisalign straightens teeth and closes gaps in a manner similar to braces, but without the hard brackets and wires. With Invisalign, the teeth are straightened using comfortable, clear aligner trays that are extremely discreet and barely noticeable to others. Additionally, the trays can be removed, as needed. at Franklin Dental, Dr. John Olsen is your dentist for Invisalign in Franklin, WI. Invisalign is an alternative to braces for straightening teeth and closing gaps between them. Like braces, Invisalign exerts pressure on the teeth to help them gradually move into the desired position over time. While braces utilize brackets and wires to move the teeth, Invisalign uses aligner trays. The trays fit comfortably over the teeth and can be removed when eating, brushing, or flossing. The aligner trays used with Invisalign are custom made for each individual patient. 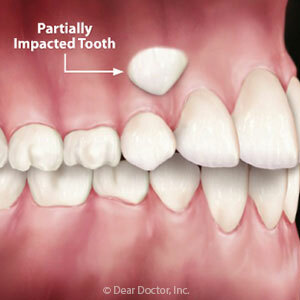 An impression or mold is taken of the teeth that is then used to create custom trays. Separate trays are made for the top and bottom rows of teeth. Each set of custom trays is only worn for a few weeks and is then replaced with the next set. Each new set of trays moves the teeth closer to their final position. Invisalign is best for straightening crooked teeth and closing small gaps between teeth. It is not intended for correcting bite alignment problems, such as an underbite or overbite. Braces are best for patients who need to correct the alignment of their bite. In Franklin, Invisalign is offered at Franklin Dental. There are several advantages to straightening your teeth with Invisalign. The aligner trays are made from a flexible plastic material that is soft and comfortable to wear. There are no hard components to irritate the mouth. Another advantage of Invisalign is that the trays can be removed when eating to prevent food from getting trapped in them. 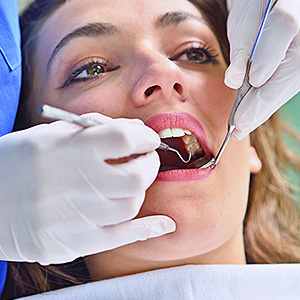 The trays can also be taken out to brush and floss. Finally, Invisalign is a discreet method for straightening your smile since the trays are clear and not readily noticeable to others. Invisalign is the discreet and comfortable way to straighten your smile. A dentist can help you decide if Invisalign treatment is right for you. For Invisalign in Franklin, schedule an appointment with Dr. Olsen by calling Franklin Dental at (414) 425-7050.